A modern all-rounder. 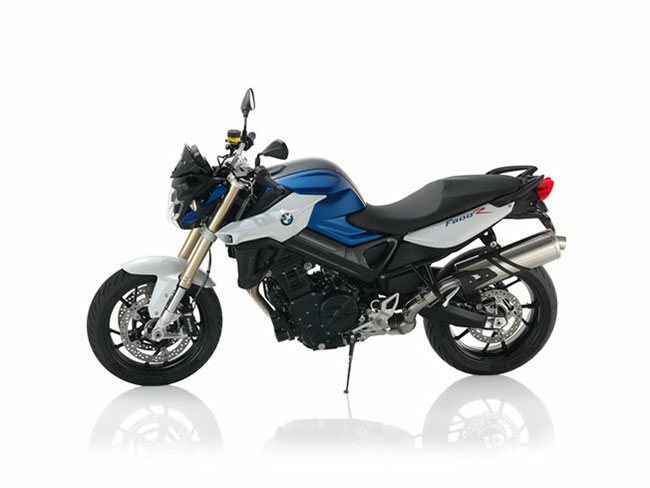 The F 800 R is a firmly established player in the BMW Motorrad roadster segment. It combines agility, everyday practicality and dynamic riding fun in an integrated sporty package. And the revised F 800 R takes the whole thing a step further. Design you can enjoy. The F 800 R is just the right motorbike if you simply want to get on and have fun - and that is just what it looks like. The precise lines and minimalist trim elements give it a sense of light-footed agility, while the new upside-down fork is suggestive of dynamic forward thrust even when stationary. The symmetrical headlamp gives the F 800 R a new distinctive look. Move ahead safely. The F 800 R offers uncomplicated riding pleasure - ensured by the powerful yet economical parallel twin engine with 90 bhp - but it is also geared towards safety: ABS as standard, a stable, balanced suspension and the safety package to go with it (ASC, ESA, RDC) guarantee a supreme ride response and absolute control on the road. Infinite variety. The touring and all-round capabilities of the F 800 R are reflected not just in the wide range of seat heights and additional luggage fittings but also in the different paint finishes. The F 800 R stands for maximum riding pleasure like almost no other roadster. BMW Motorrad has now improved this successful concept even further for model year 2015.